The International Dunhuang Project celebrates its 20th birthday! The IDP is a ground-breaking international collaboration to make information and images of all manuscripts, paintings, textiles and artefacts from Dunhuang and archaeological sites of the Eastern Silk Road freely available on the Internet and to encourage their use through educational and research programmes. 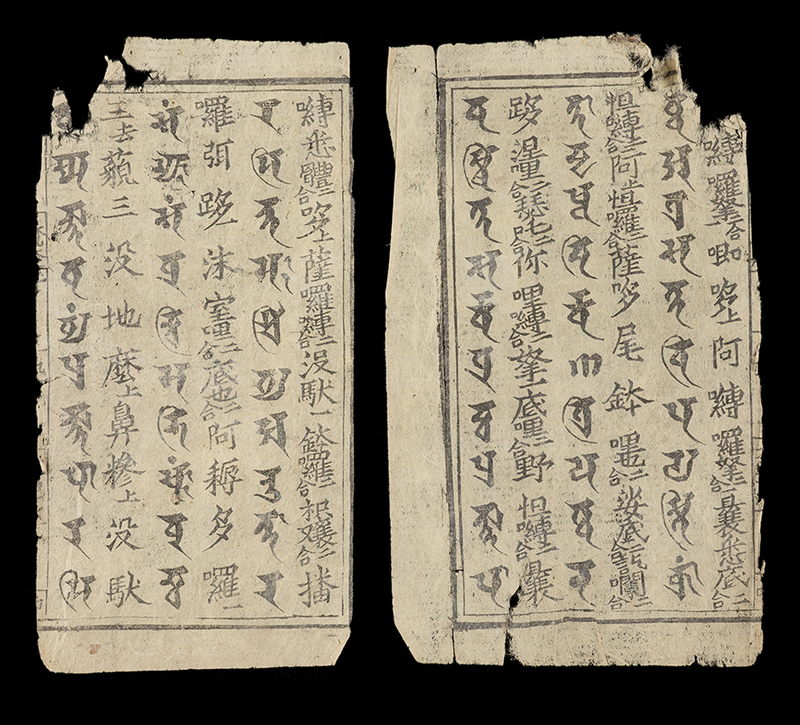 Its British home is the British Library, where you can currently see these two printed folios from an edition of the Heart Sutra in Sanskrit – in theSir John Ritblat Gallery – along with the Diamond Sutra.